Conquering Khardung La is always special, especially for a first timer. The head rush is heightened by the fact that the first timer in question – Anam Hashim, has done it on a 110 cc scooter – the TVS Scooty Zest 110 to be precise! The head rush also brings with it renewed enthusiasm for today would be a particularly difficult 200-plus kilometre journey to a spectacular location. The destination in question was the village of Spangmik on the shores of the once-obscure-now-famous Pangong Tso. 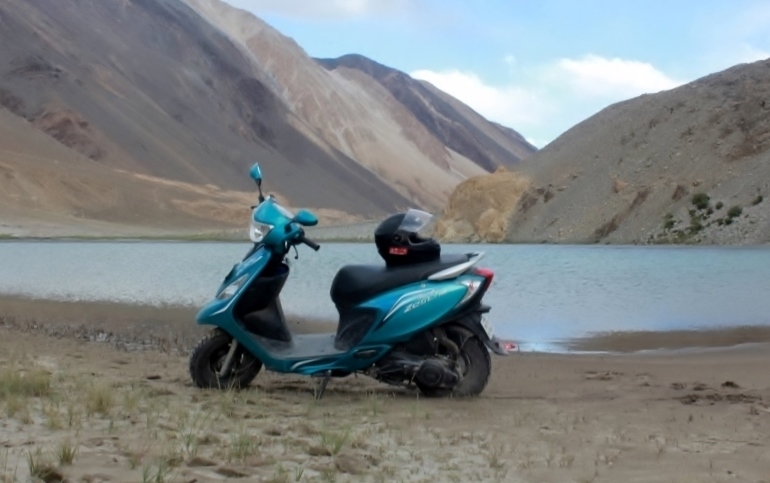 Pangong Tso is one of the India’s largest high altitude lake with nearly 60 per cent of the lake belonging to Tibet. A quick search on the Net reveals that at its broadest part this lake, spread over 604 sq km, is over five kilometres wide from bank to bank. 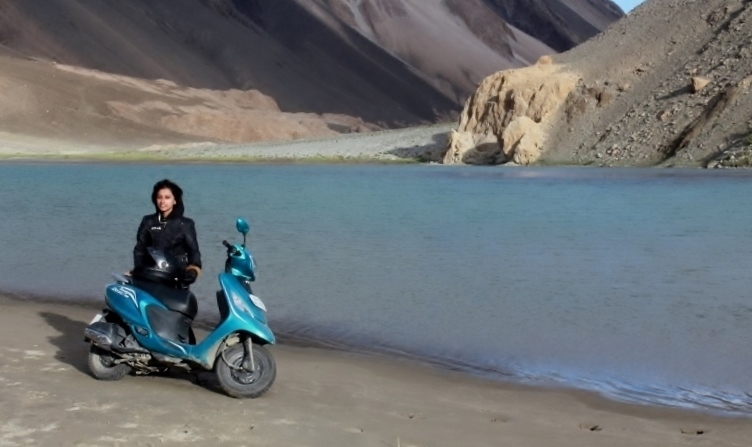 Surprisingly, Pangong Tso is a salt lake but still freezes in winters. Visitor footfalls have multiplied since Bollywood super star Aamir Khan shot a part of his movie 3 Idiots here. 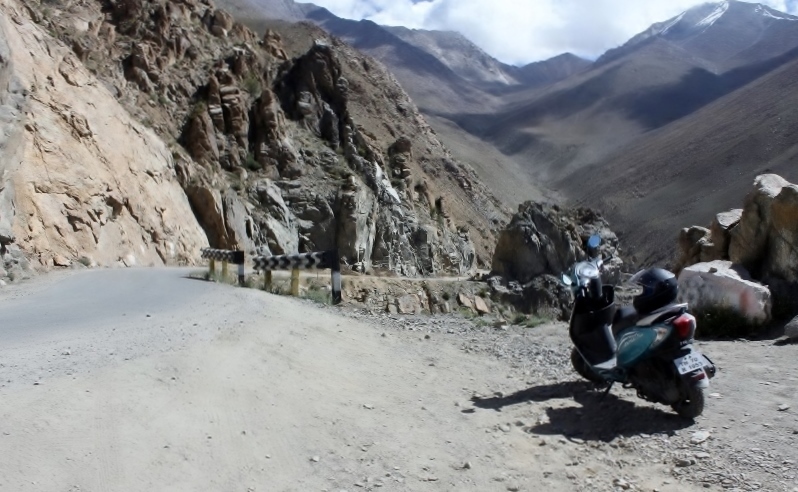 But before one gets to Pangong Tso, one has to first get past the Chang La, which at 17,586 ft is the second highest motorable road in the world. 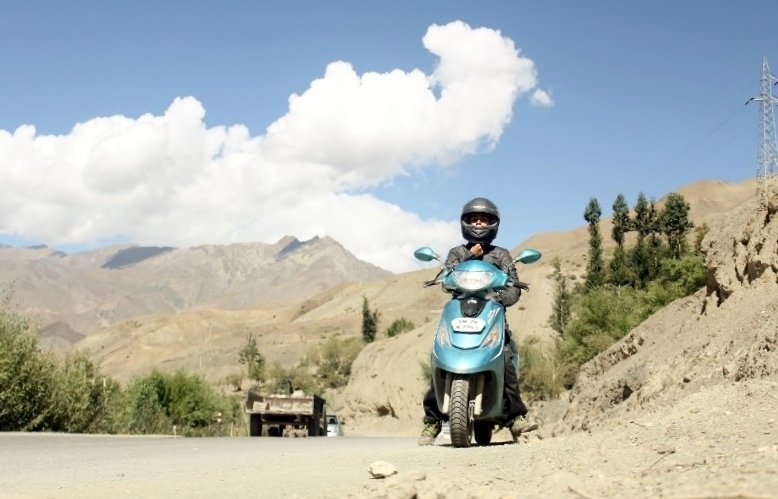 It’s no mean feat for Anam and the TVS Scooty Zest 110 to be taking on the world’s highest and second highest passes on back to back days. A word of caution here, although Khardung La is the higher of the two passes, Chang La is the more challenging one. Mostly, courtesy unpredictable weather.